TO ORDER THIS PRODUCT YOU MUST HAVE A VALID SampleRobot 5 Multi-X, SampleRobot KORG Edition + WaveRobot or SampleRobot Single-X + WaveRobot LICENSE. 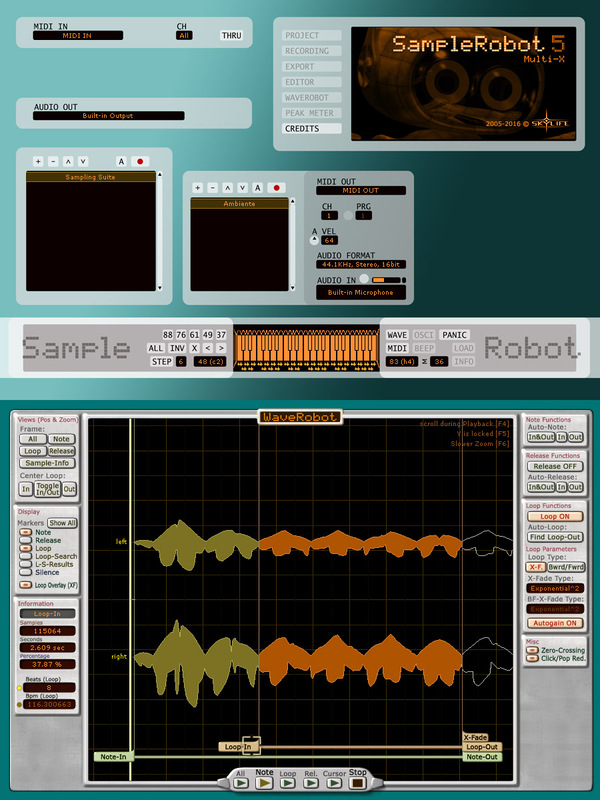 With SampleRobot 5 Multi-X you can easily do automatic sampling of acoustic and electronic instruments. Remote control your MIDI gear and sample all sound nuances fully automatically. The new Instrument Copier feature allows you to sample whole sound banks from any MIDI sound source completely automatically. It was never easier to build professional sounding software instruments. SampleRobot 5 Multi-X is very easy to use. Beginners can achieve excellent results with just a few mouse clicks. Multi-X stands for multi export. All export formats of SampleRobot Pro are supported.